The Philadelphia Baseball Review released its Division-II College Player of the Week awards on Monday for the period ending March 31. 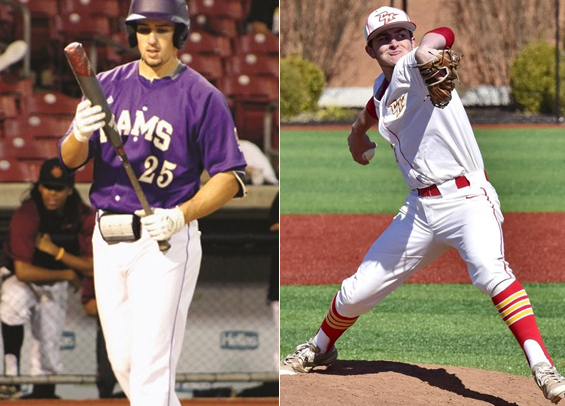 West Chester senior first baseman Jared Melone was named the Philadelphia Baseball Review's D-II Hitter of the Week, while Chestnut Hill sophomore right-hander Billy Bethel has been named the Philadelphia Baseball Review's D-II Pitcher of the Week. Melone went 10-for-24 (.417) over the week for West Chester, homering three times while driving in seven runs. For the season, he's hitting .447 with four homers and 20 RBIs. As for Bethel, he tossed a complete game against nationally ranked Wilmington on Tuesday, surrendering three runs on eight hits in a 4-3 Griffins win. He also threw two innings in relief on Friday and secured the victory in a 7-6 win over Post.